The Lullaby Black & White has been crafted maintaining the same qualities as the Lullaby White. Using Aquatica’s innovative composite material AquateX™, the black exterior of this model is achieved with a special oven-baking technique that forms perfect scratch-resistant surface bonding. 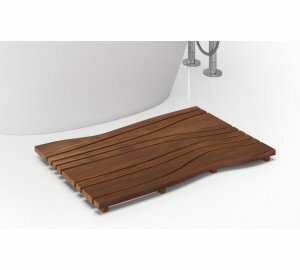 It’s deep and ergonomic design makes it an ideal freestanding tub for full-body soaks and is designed to provide added comfort. Also available in a smaller size, at just 55 inches long, The Lullaby Black & White Mini is one of our smallest designs. This lovely deep, double-ended bath is made for relaxing full body soaking. 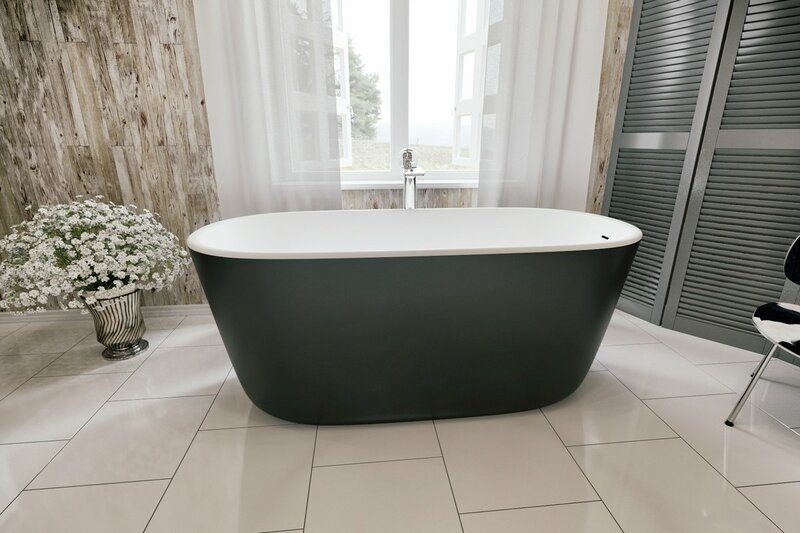 With an interior oval-shaped base of 41.75” (106 cm) spanning out to 57.5” (146 cm), there is plenty of room to sit back and enjoy its soothing warmth and velvety smooth surface, or slip deeper and lower into this bath’s cradle-like design, neck-high immersion. The pop-up waste is conveniently located at your feet. 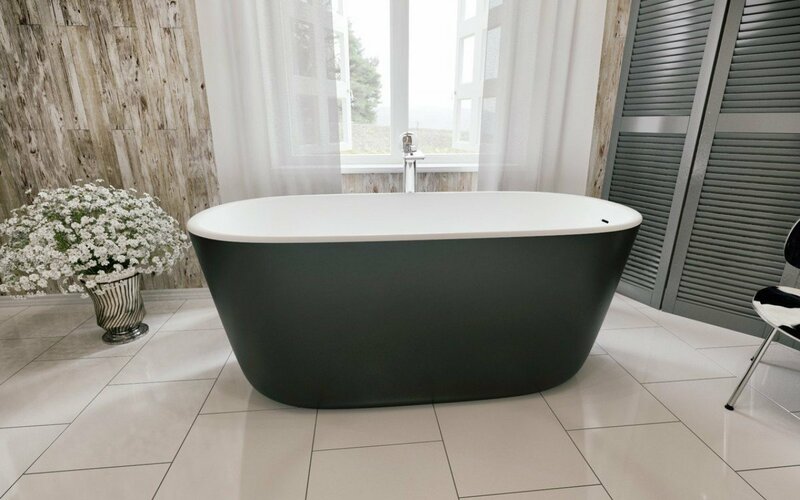 This bathtub with its velvety smooth AquateX™ finish is perfectly designed for a single person full body soak. Both ends feature a comfortable, slightly sloping back rest position whilst the rounded rim provides gentle neck and head support. 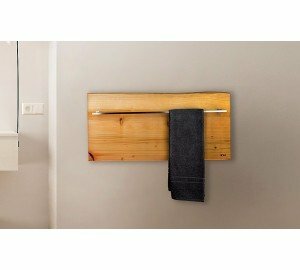 This also makes it easy to get in and out of the bath. Very high quality, but not a solid cast resin tub. Nice finish, adjustable base. The shipping container was the best I have ever seen, so a perfect tub out of the crate. My only wish is that the drain and overflow were available in other finishes with the order. I believe they are available from Aquatica direct. One important aspect when choosing any soaking tub is the height of the overflow, almost all acrylic tubs, even the deeper ones, have the overflow set to low which means most of you is out of the water. This tub is deep and the overflow is set high. A great combination for a true soakink tub. Love it. 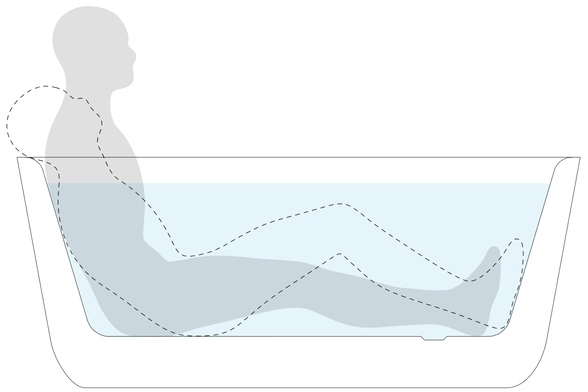 I wanted the deepest tub possible and the horizontal drain was a must. Surface is super smooth and cleans very easily. Delivery was a drag and the first tub came damaged but customer service was immediately responsive and took care of a replacement, he even emailed several weeks later on delivery day to see how it was.